We came back to school on the 28th of August. We welcome the 11 new Junior Infants and 2 new pupils in 1st class as well as the 6 new families to St. Andrew's, Curragha. We would also like to welcome Mr.Mulcahy to the school who is teaching 3rd and 4th class this year, as well as Ms.Daly who is teaching shared resource. We are looking forward to another great year! This term we have been playing Mangahigh. It helps improve our mathematical skills. The objective of Mangahigh is to win as many medals and points for your school as possible. Each teacher sets teacher challenges for their pupil’s to complete in a certain number of days. There also is a lot of other games on the website to test your mathematical skills. You are able to set the level of difficulty yourself and this helps you improve your maths day by day. There is a school leader board which includes the first 10 students. Mangahigh makes maths fun. Q1: Have you ever taught in any other schools? Q2: Why did you choose teaching as a career? Q3: Do you play a sport? Q4: Do you like teaching at St.Andrews? Our School Gaelic football team is coached by Mr Mulcahy, Ms McLarnon, and John McDermott former Meath All Ireland winner and Captain. So far this season we have won our first two matches against Ardcath & Bellewstown, however we were beaten by Mount-Hanover who are a very strong side. Hopefully we can win our next match which will then see us progress to the Semi Finals. The team is made up of boys from 3rd - 6th Class and girls from 5th and 6th classes. We are lucky to have our local football pitch available to play our matches on. 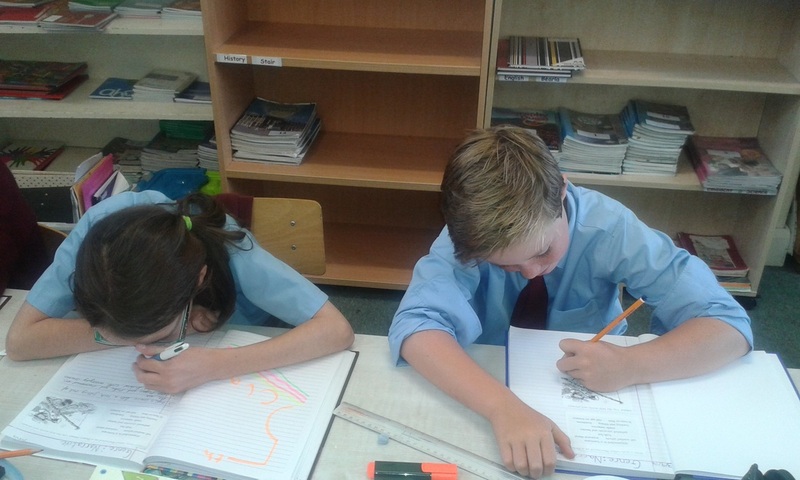 During this school year 5th and 6th class are learning about the Renaissance meaning rebirth. The Renaissance started in the 14th century and ended in 16th century. There were many famous people during the Renaissance including Leonardo De Vinci, Michelangelo, Galileo, Gutenberg and William Shakespeare. 3rd and 4th class are learning about Apollo 11. Apollo 11 was the mission to put a man on the moon. The mission took place on July, 1969. There were three astronauts on board the Saturn V rocket. Their names were Buzz Aldrin, Michael Collins and Neil Armstrong. On the 20th of July 1969 Neil Armstrong set foot on the moon. His famous line was,“one small step for man one giant leap for mankind”. Junior and Senior Infants engage in 'Aistear' play' which means 'journey. It is a way of learning that includes role play. Their theme for the past few weeks was 'Home'.